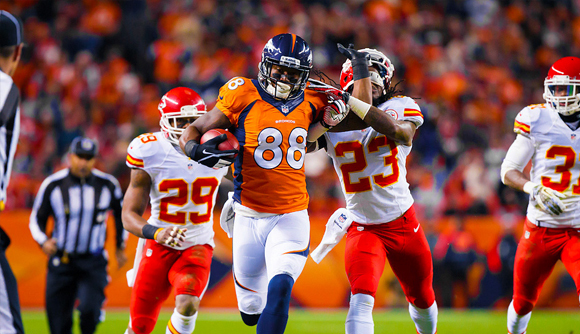 The Broncos will try to maintain their dominance against the Chiefs when they visit Arrowhead Stadium. Kansas City has the advantage in the series with 56 wins in 110 games but has lost seven of the last eight and six straight. Andy Reid’s team will seek its first victory against Denver since 2012 and first at home in five years. The Broncos, who have won the AFC West title in four years in a row, are favorites in the NFL betting lines -1.0 to have seven straight wins against the Chiefs. They are 5-0 SU and 4-1 ATS in the past five against Kansas City. Player to watch: Running back Jamaal Charles will need to improve their numbers if the Chiefs want to win this game, because in the two games of last year against the Broncos he had only 12 carries for 39 yards, combined. Other interesting games in the second week are San Francisco 49ers-Pittsburgh Steelers, New York Jets-Colts, Baltimore Ravens-Oakland Raiders, San Diego Chargers-Cincinnati Bengals.